AUTHENTIC Geek Vape Griffin 25 RTA (25mm) Top Airflow Tank version. 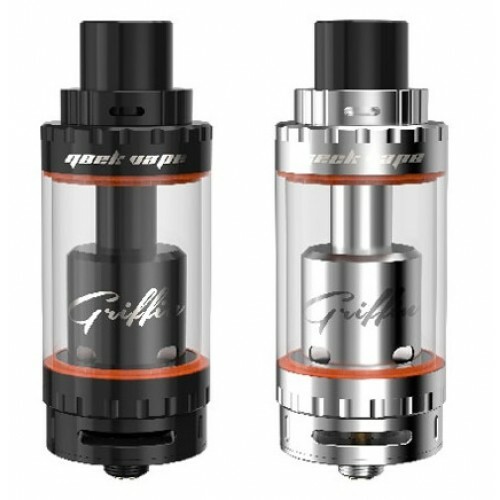 The Geek Vape Griffin 25 RTA brings a top-airflow mechanism and a larger 6ml juice capacity and refined deck design! The body is constructed with stainless steel and Silica glass, and the contact pin is adjustable gold-plated to ensure excellent conductivity. The Griffin has other great features such as top-fill capability, bottom airflow control, and juice flow control.